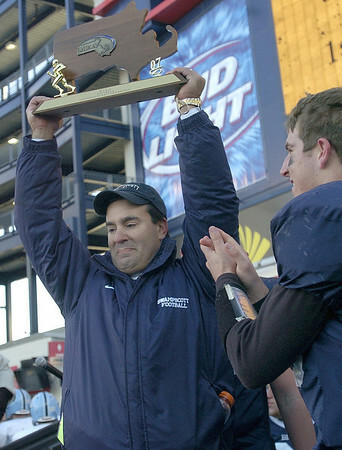 Steve Dembowski has won one Super Bowl title, leading the Big Blue past Medfield in 2007. He has also won four NEC titles (2002, 2003, 2007, 2008). Staff file photo.